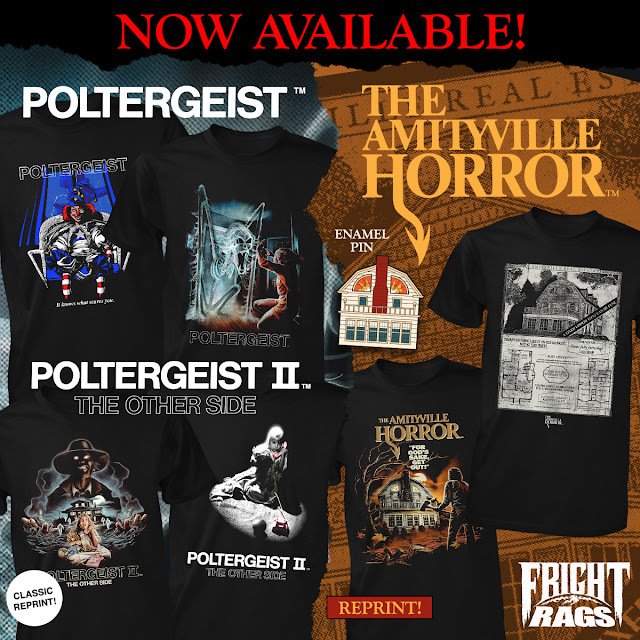 From a dimension beyond the living, Fright-Rags has new apparel to scare you to death featuring Poltergeist, The Amityville Horror, Predator, and more. Do not go into the light without Fright-Rags' Poltergeist collection. It includes two haunting shirts from Tobe Hooper's 1982 classic, along with a pair of designs from its sequel, Poltergeist II: The Other Side. For God's sake, get to Fright-Rags to see The Amityville Horror collection. It features a new shirt with the infamous house's blueprints, a reprint of a classic design, and an enamel pin of the house at 112 Ocean Avenue. 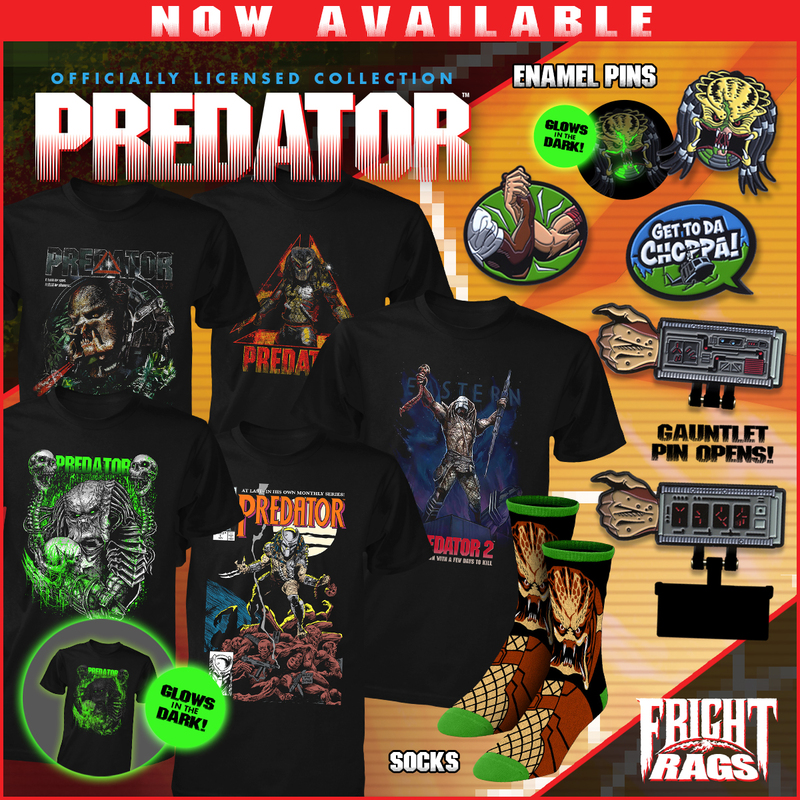 The hunt has begun for Fright-Rags' Predator collection. There are four shirts from the 1987 original, including one that glows in the dark, plus a Predator 2 shirt, Predator socks, and four enamel pins, including one that glows in the dark and another with an opening gauntlet. Get slashed by Fright-Rags latest movie maniac shirts. Retro-style designs of Leatherface, Chucky, Ghostface, and Michael Myers are inspired by classic mail-away tees found in the back pages of '80s magazines. Poltergeist, The Amityville Horror, Predator, and Slashed collections are on sale now at Fright-Rags.com.